Tom was born in New Zealand in 1996 to German parents. He grew up in Kaiwaka but moved to Mangawhai in 2007, where his family still live. He is currently in his second year of a Master of Science degree in Zoology at the University of Otago. Since taking art throughout high school, where he focussed on acrylic as a medium, he has given little time to painting. However, this past year he has rediscovered his passion for painting with a foray into the (for him previously unexplored) medium of watercolour. 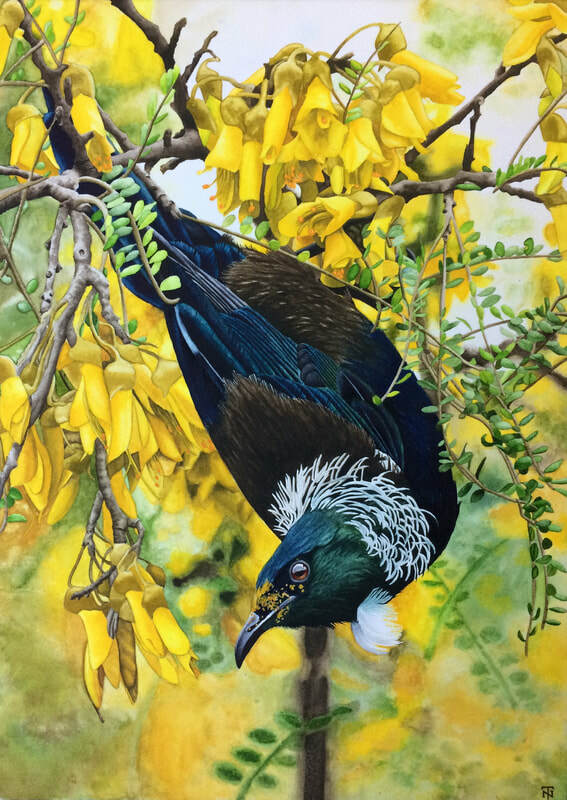 In 2018 he completed and entered his first two watercolour paintings into the Otago University Student Association’s Student Art Exhibition, one of which (Kōwhai/yellow) won first prize in the painting category in the form of the Artzone Painting Excellence Award. 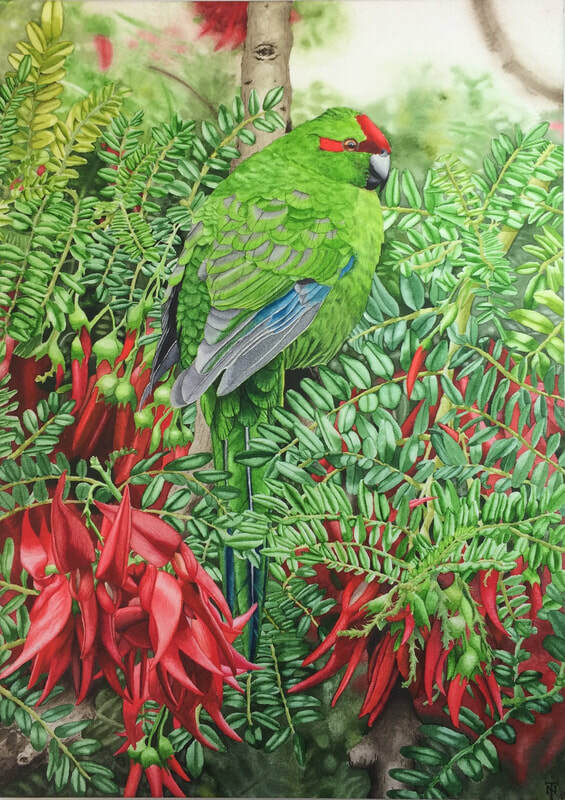 As a zoologist, Tom’s main interests in subject matter for his artworks lie in the natural world – in particular plants and animals, with further emphasis on birds.